Ryan Comstock & Chris Peacock will take the stage from 12 – 3pm! Comstock & Peacock are a jam style pop and jazz duo with an eclectic song selection ranging from Eric Clapton to Bruno Mars! 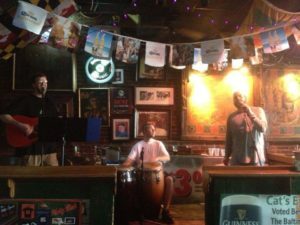 Community Groove takes the stage from 4-8pm with their original funky soul-infused groove music, and hip covers!! Rob Thorworth (guitar), Gary Gilpin (keyboards), Jay Dulaney (bass), Rod Dunton (drums) and Dave Fairall (sax and keyboards). Automatic Slim and His Sensational Band play hard driving blues and roots rock, acoustic blues and old country with emphasis on twin guitars.